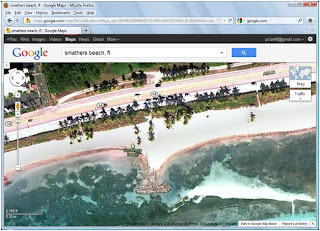 A list of the Best Beaches in Florida is a very subjective list to make! I designed my list using first hand knowledge, and with help from other sources as well. 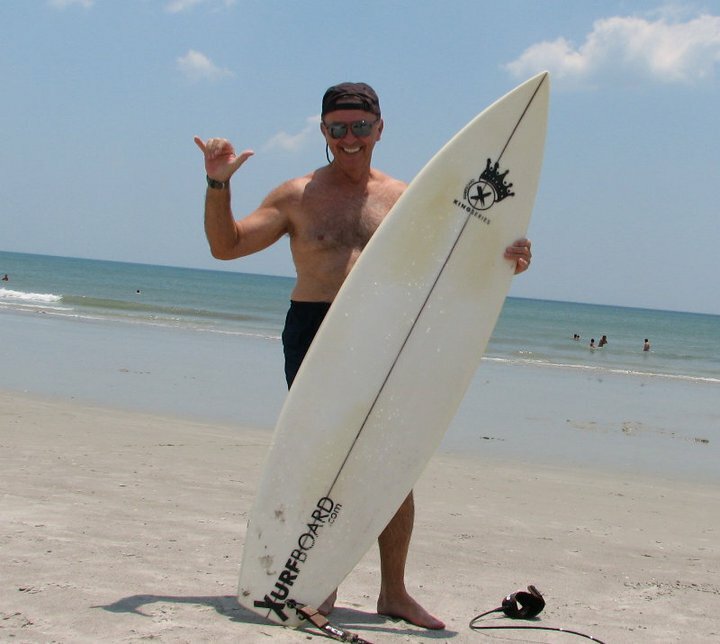 I've been hitting the surf in my home state since I was a toddler! I know everyone looks for a different ocean side experience, so I've made "variety" an important factor for this list. I'm going to break this list down into 4 areas. 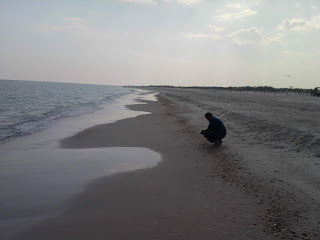 This is a picture of my father looking for shells, late in the day on St. George Island. This very remote State Park gives you all of the seclusion you need! My brother, David, with his family hitting one of the many great restaurants in Panama City. 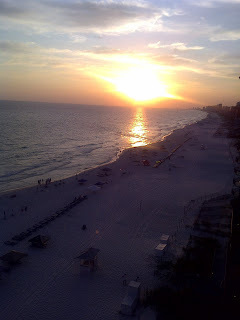 Sunset from one of the hotel balconies in the panhandle. For More information on Panama City click the link below! Panama City Information and Pictures! 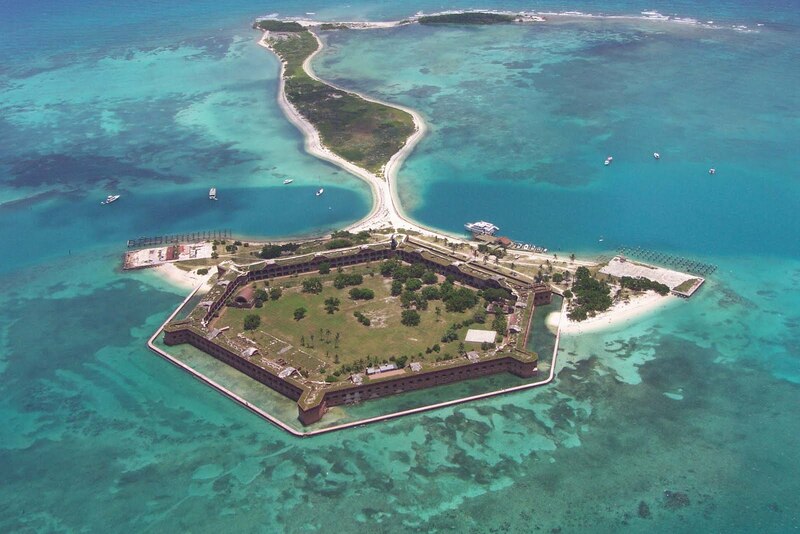 Honeymoon Island is famous for its sunsets and Caladesi Island for its seclusion. Actually, you can really get away from the crowds on both islands. On Honeymoon Island you can easily stroll away from the crowds. Few people venture very far from the parking areas. You can take a ferry to Caladesi Island once you're on Honeymoon Island. A lot of locals also take their own boat to the island. Here's my son Austin on a "winter day." We have some very mild winter days that are nice for a stroll by the ocean, but not for swimming. This picture was taken during a beach outing in late September - still plenty warm in the Sunshine State (but without the summer crowds)! The picture below says it all about the St. Pete area. There's my son, Austin, ready to wipe out on his skim board, while a parasailer flies in the background and a wave runner sits parked! There's always lots to do, and a great place to do it! 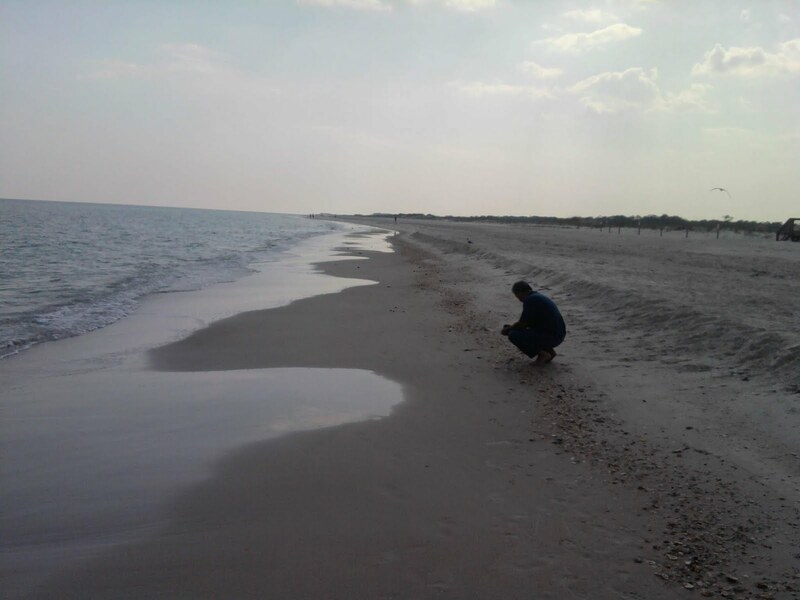 If you look closely at the shoreline in this picture you'll see hundreds of shells lieing in the sand. Sanibel has the reputation as the place for shell collecting in the world! A great sunset picture on Sanibel Island! One of the considerations of this category is what else is there to do!? Daytona has the boardwalk and tons of other "touristy" things to do. While this may not sound super attractive upfront - it's well appreciated when your sunburned and soggy! My Dad hitting the surf in the land of chocolate fish. Well, maybe he was just posing with a surfboard! Although I only boogie board - I, like everyone else in Florida, know that Sebastian Inlet has the best surfing. The water moving in and out of the inlet, combined with the jetty, make for terrific wave action. I also know a lot of surfers who go to Cocoa and New Smyrna. One of the few times I tried to surf was at New Smyrna, but I couldn't get a decent ride because the 6 foot waves were too much for me. The guy shark fishing at the same place we were surfing probably didn't help my concentration! 70 miles from Key West, and no bridge! Definitely an adventure and unique experience. After taking a ferry boat to the island - they have great beaches, fort tours and even camping! A great white sand beach, and great snorkeling right from the beach. You can learn more about this park by clicking on the camping link to the left. This 2 mile long beach has plenty of parking, picnic areas, showers/restrooms and even shade! Looking for a Home in Polk County Florida?